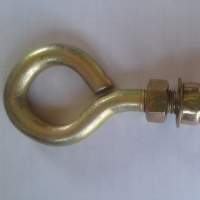 Anchor Fastener by Dynamic Exports. Supplier from India. Product Id 920149. Ningbo Londex Industrial Co., Ltd.
Techma Engineering Enterprise Pvt. Ltd. Mascot India Tools And Forgings Pvt. Ltd.
Search More Like "Anchor Fastener"